Helping parents find sitters across the whole of Oxfordshire. We appreciate how important it is for parents to know their children are left in capable hands so our babysitters are qualified and/or experienced in the childcare sector. They include individuals such as nannies, childminders, playworkers, mothers and nursery nurses. All our sitters are mature and over 18 years old. As they all have their own transport you will not be asked to contribute to lifts home or to pay for taxis. 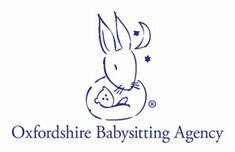 We do occasionally accept sitters who are studying at college or work in a non-childcare field but only if they can provide excellent references to support at least 3 years babysitting experience. We ensure all our babysitters are CRB checked. The majority of our sitters have already been thoroughly CRB checked within the last 2 years prior to joining the agency and we hold confirmation of this on file. The agency vets every babysitter thoroughly. We undertake face-to-face interviews with each applicant to establish their suitability, practical knowledge of first aid and experience with different aged children. We then obtain two written references, which you are welcome to see. This allows us to establish trustworthiness and their ability to work with children.